Home » Food » A Fun and Delicious Breakfast! A Fun and Delicious Breakfast! This entry was posted in Food on July 12, 2013 by Faith. 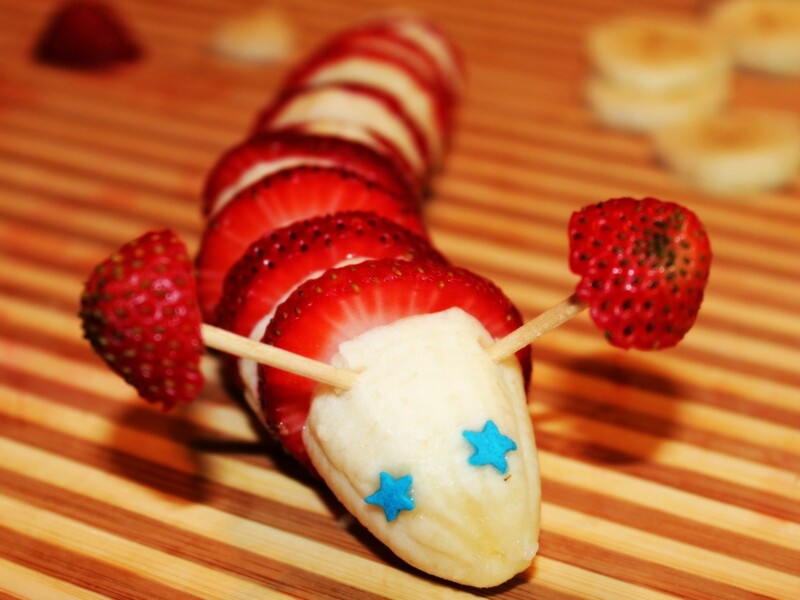 This Morning we made these yummy caterpillars! 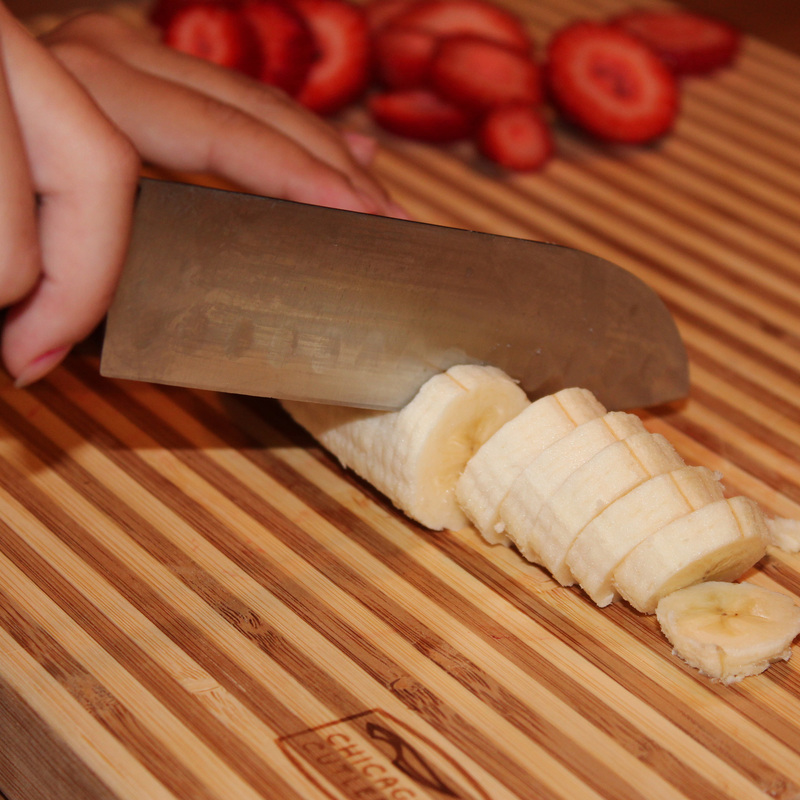 Then we sliced the bananas too. 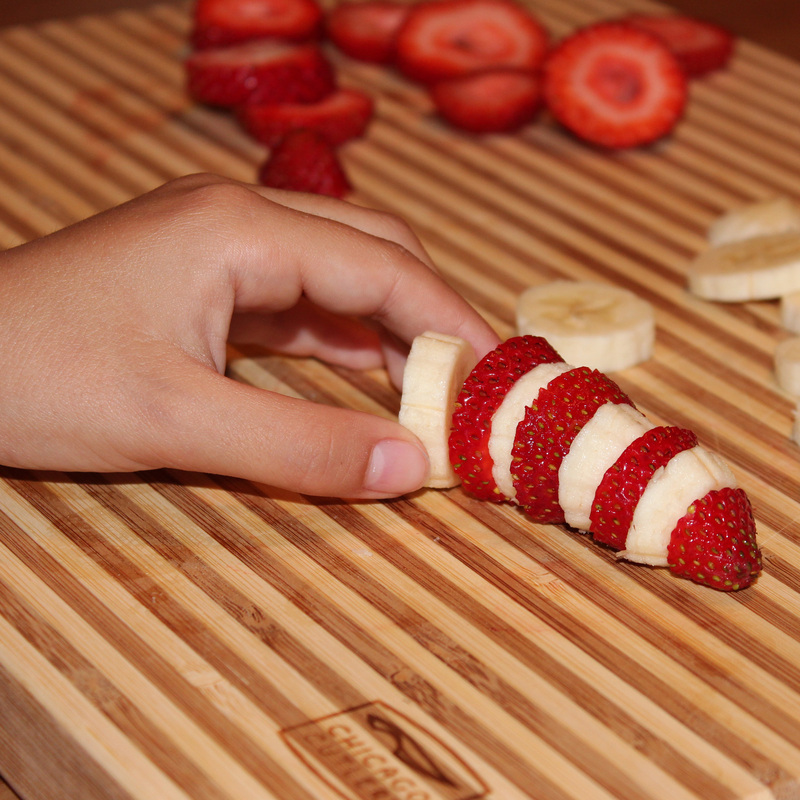 I love slicing bananas… and mushrooms… but that wouldn’t taste very good on this, would it? 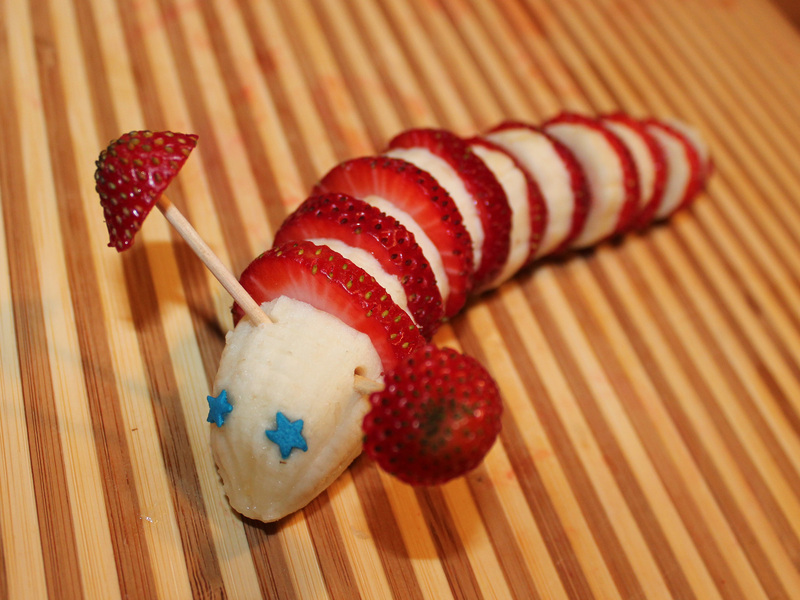 Hint: Make sure to leave about an inch of the end of the banana intact for the caterpillars head. Now it’s time for the fun part! Assembling your little critter. 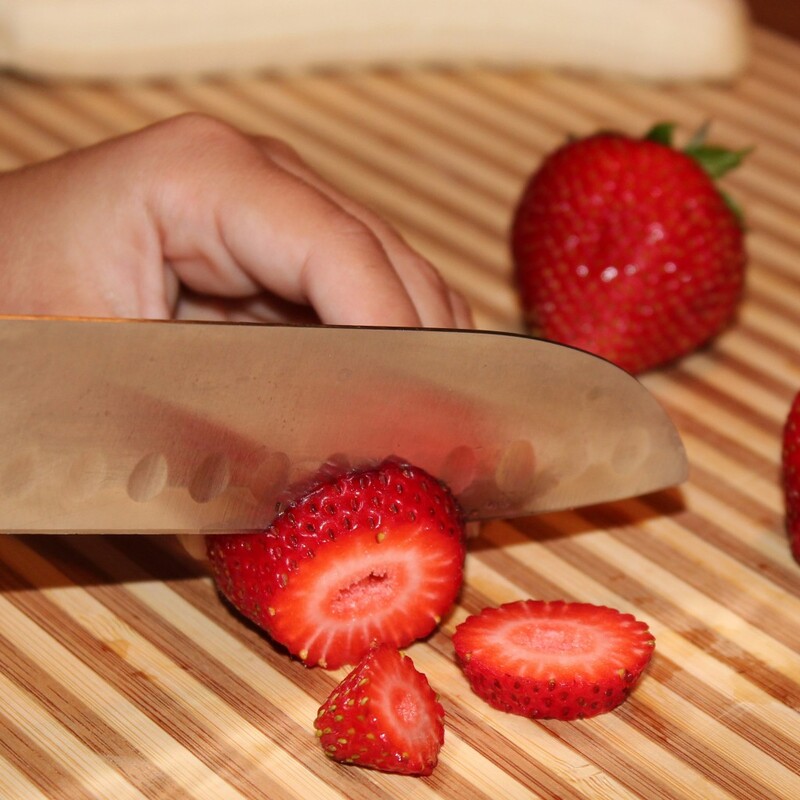 Start with the pointy bottom of a strawberry for the tail. 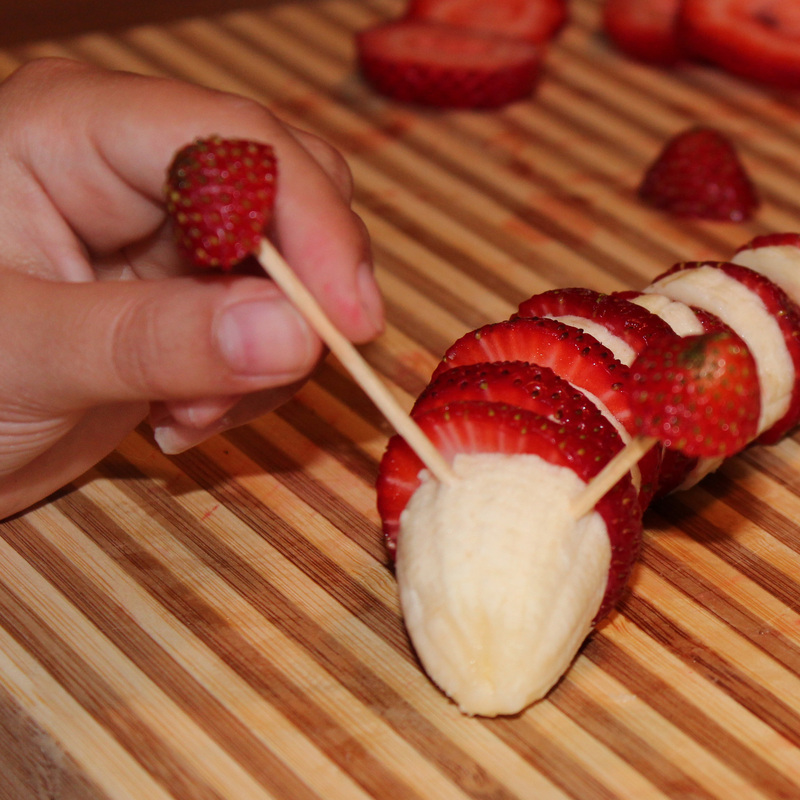 Then, alternate banana and strawberry slices arranging them from smallest to largest so the tail looks like it tapers off. When he’s as long as you like, finish up with that large banana chunk for the face. Add toothpicks to the head with strawberry chunks on top for the antennae. ← A Bright New Way to “Spend” Your Time!